Women’s watches over the past few years have seen a renaissance of sorts. Back then, watches for women were just a smaller, sparklier version of the predominantly male-centric market. These days, watchmakers have shown greater respect, appreciation, and craftsmanship towards women’s watches. 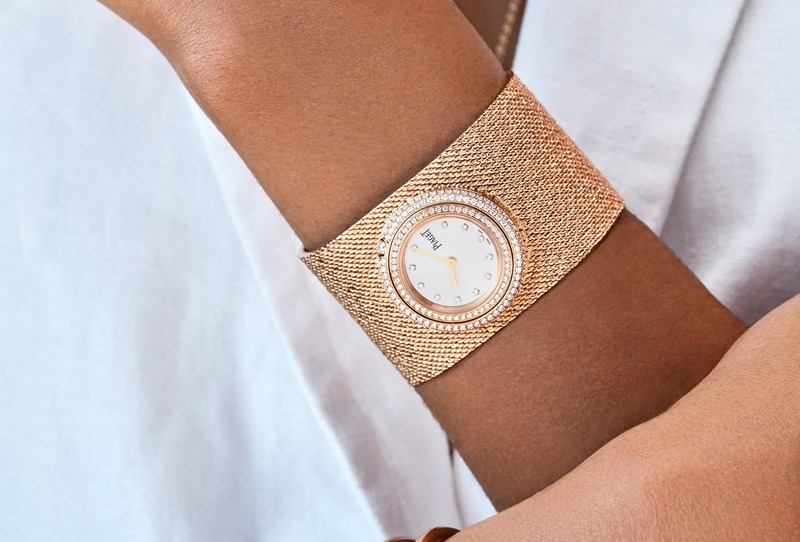 With SIHH 2019 already behind us and Baselworld just days away, we have already seen plenty of women’s watches make a name for itself this year. What’s great about the world of watches is that it didn’t just stick with the usual suspects. Many luxury brands have also thrown their hats into the foray with its own rendition of how a woman’s watch should be like. Of course, this shouldn’t deter women from wearing men’s watches as well. There isn’t a rule saying women can’t rock a complicated watch on her wrist. However, if you’re more into having something a little more dainty and feminine on your wrist, these are the watches for you. 2019 is the year Audemars Piguet breaks out from its usual mould and into something completely different. If you thought the Code 11.59 was something out of the ordinary from the luxury Swiss watchmaker, you haven’t seen anything yet. 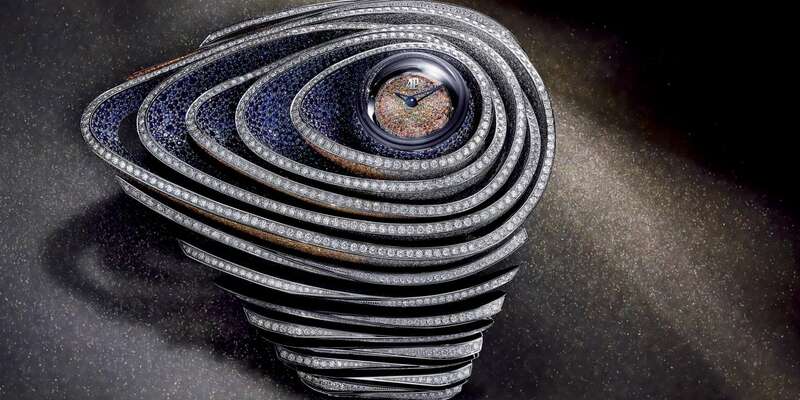 The Audemars Piguet Sapphire Orbe is its latest timepiece and it is all sorts of extravagant. Its name is derived from the Orbe River, which passes through the company’s home, Le Brassus. The Sapphire Orbe pushes the boundaries of gem-setting craftsmanship to a new level with an array of diamonds and sapphires. 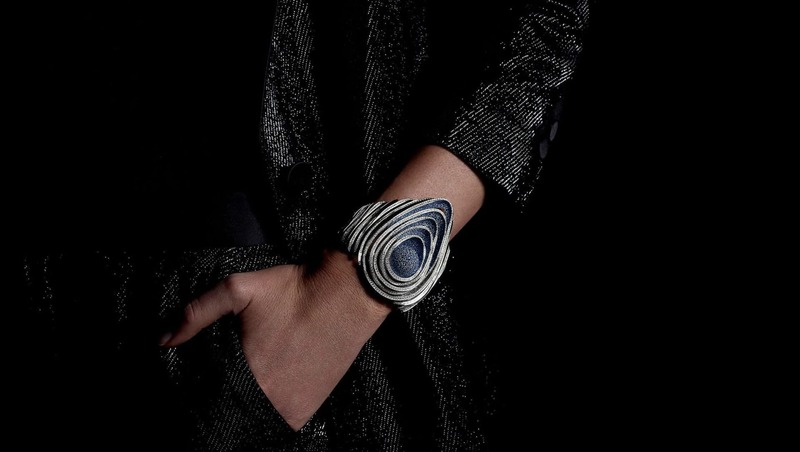 Its design embodies the river of the same name with a glittering jewels in graded hues of blue and orange, which resembles the night sky merging into day. At its core is an 18-karat white gold dial with graded orange sapphires as well as its tiny quartz calibre. Cartier watches are a statement all on its own. The Cartier Santos as well as the Cartier Tank are some of its more iconic timepieces, each with a backstory to go along with it. However, the Panthère de Cartier Figurative may very well be the French luxury house’s most outrageous design yet. It doubles as both a bracelet as well as a watch wrapped on an 18-karat gold bangle while the bezel of the watch face features cut diamonds. 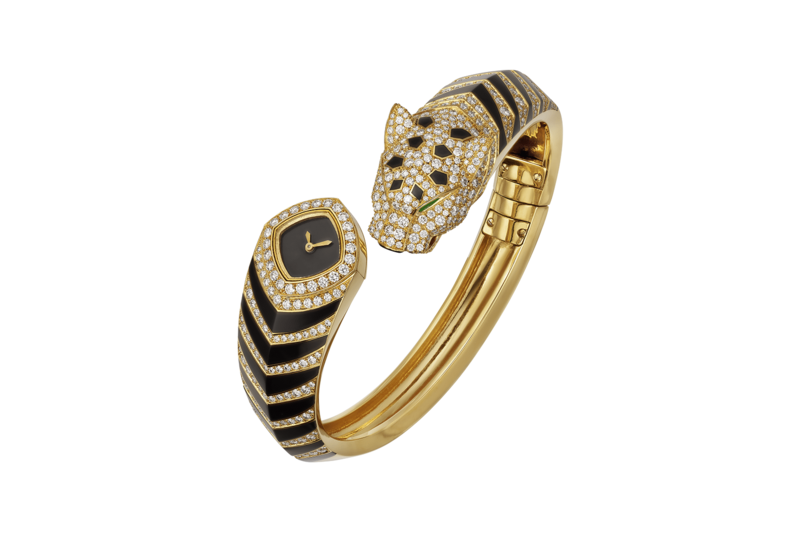 On the other end of the bracelet rests a panther head complete with diamonds and emerald eyes. A Swiss luxury watchmaker who needs no introduction, Roger Dubuis is well-known for its avant-garde and extravagant designs over the years. 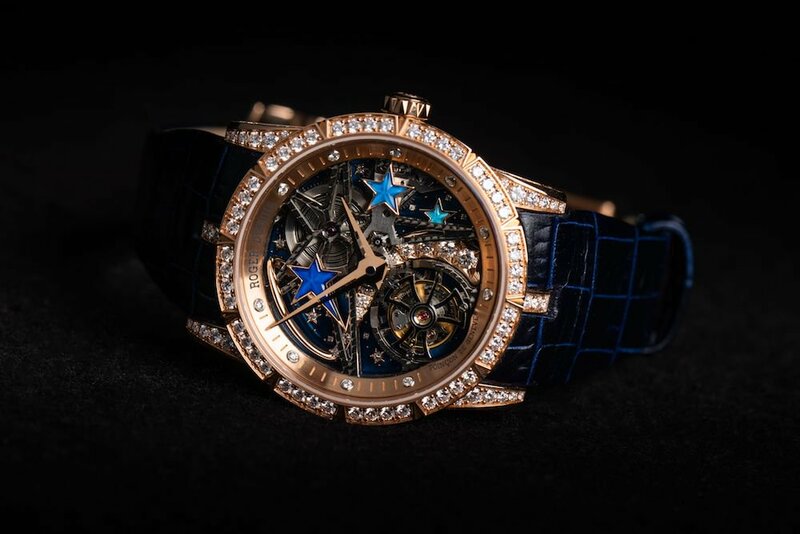 Its Excalibur collection in particular is known for carrying powerful aesthetics paired with exceptional mechanisms so the Roger Dubuis Excalibur Shooting Star is no different. During its reveal at SIHH 2019, the Excalibur Shooting Star came in three different dial colour variations — blue, white, and pink. The skeletonised 36mm timepiece case is made out of rose gold while the bezel houses a set of diamonds. The same jewels are also present on the lugs as well as the skeletonised bridges for good measure. Piaget is known as the founding father when it came to watch movements, being the main manufacturer back in the day. However, it wasn’t until the 20th century did it begin marketing its very own line of timepieces and thankfully it did. The latest additions to the Piaget Possession collection features three new watches, one of which is an ostentatious piece to say the least. The Possession Cuff is a watch with a bezel that carries 126 brilliant-cut diamonds that is set across a pink gold Milanese mesh bracelet. Jaeger-LeCoultre is famous the world over, especially for its Reverso collection of timepieces. Of course, the brand does have plenty of other popular collections with its own fanbase with one of it being the Rendez-Vous Moon. 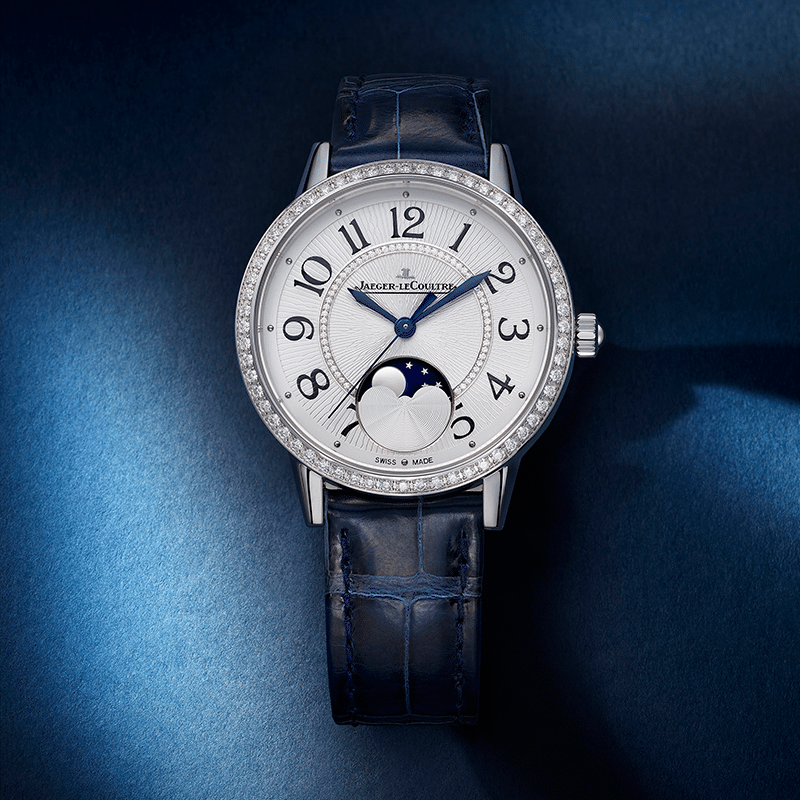 The 2019 edition comes with its own feminine look and feel as well as a new rendition of the moon phase display. It sits on the six o’clock of the watch, complete with a lacquered blue starry sky, which rotates behind a guilloché cloud. Even the dial comes with its own guilloché treatment, complete with 47 studded diamonds while its bezel holds 60 diamonds.